Fake and impure honeys have become commonplace in the market today, despite many people's preference for 100% bees' honey. The problem with this is, unfortunately, fake and impure honey can be passed off as pure very easily. When viewed on the shelf, it is very hard to pick out what is pure, and what is not. There are, however, a few ways to figure this out. Check the label. You would be amazed at how many people neglect to look closely at the label of food products before buying them, and then are dismayed to find they bought something they really didn't want. Check around the brand name, and the ingredients list (if there is one) for a mention of additives. The company should be required to list them if you are shopping in certain countries. If there are no mentions of additives, buy the honey. Taste the honey. If it seems off, and yet the label claims it is pure, there are a few simple tests you can run to check the purity of the honey. * Get a glass of water. This and a tablespoon of honey are all you need for the first test. * Empty the honey into the water. If the honey is impure, it will dissolve in the water- the most common additive to honey is syrup of jaggery, which dissolves. If it is pure, the honey will stick together and sink as a solid lump to the bottom of the glass. * This test can also be completed by mixing equal parts honey and methylated spirits (denatured alcohol). Pure honey will settle to the bottom. Impure honey is more likely to remain dissolved and make the solution milky. * Get a lighter and a candle with a cotton wick. This test is better if you don't have as much honey to spare. * Dip the cotton wick of the candle into a bit of the honey, and shake off the excess. * Pour a few drops of honey on blotting paper and observe whether or not it is absorbed. If it's absorbed, the honey's not pure. * If you don't have blotting paper, pour a little bit of honey on a white cloth, then wash the cloth. If there is any stain left by the honey, it is probably not pure. * When poured very slowly honey will flow as a spiral in a clockwise direction. This is because the honey molecule is non-symmetrical with a right-hand bias which causes the stream of honey to spin. What is Affiliate Blogging explained in Urdu? 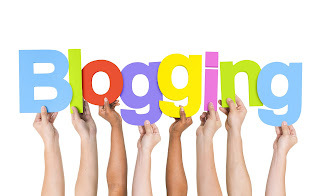 What is Blogging? How to Start Blogging In Urdu?